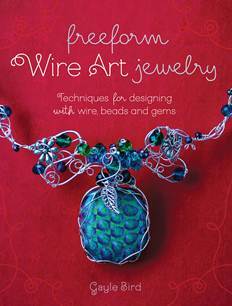 Freeform Wire Art Jewelry is a new book by talented jewelry designer Gayle Bird. It is set up like a class that you might be lucky enough to take with Gayle, so that you will work through techniques step-by-step as you complete projects that lead from one to the next in level of complexity. What Gayle calls "improvisations" are encouraged along the way. The book starts out with a discussion of the basic tools, design techniques, color theory (unusual for a wire book), and working techniques that will be used throughout all the projects. I really like the emphasis on color and the simple, organic style that Gayle teaches. Loops are layered and arranged into seemingly complex designs, but as you follow through the excellent photos and instructions, it all becomes demystified. So if you've ever wanted to make pieces like this one, but were just sure that it's too complicated, I think you will really like this book. 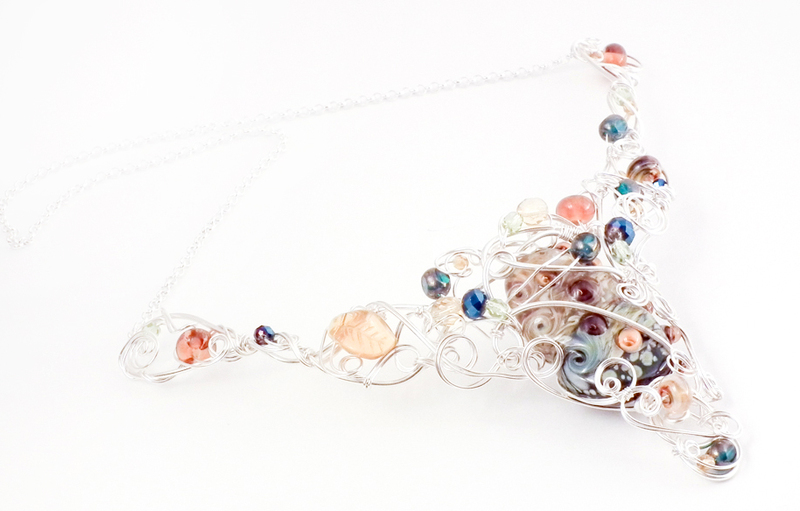 Once you become comfortable working simple designs with wire, you'll probably never want to stop! Gayle Bird is an online education and course developer, writing and teaching curriculum for adult learners in various design subjects. She taught herself jewelry design and became a juried member of the Cape Breton Centre for Craft and Design in Nova Scotia in 2007. Her jewelry is sold in stores across Nova Scotia.